Published 150 years following Hunter’s first success at the Royal Academy. Colin Hunter (1841-1904) was a hugely successful Scottish Victorian artist who exhibited nearly one hundred works in the Royal Academy over thirty-five years. He lived at 14 Melbury Road, Kensington, in the heart of the Holland Park Circle of famous artists, including Lord Leighton, G F Watts and Sir Luke Fildes among others, most of whom were both Hunter’s friends and neighbours. Born in Glasgow, and then growing up in Helensburgh, Hunter honed his craft painting landscapes in natural Settings on the west coast and islands of Scotland and is best known for his seascapes. Painting largely with oil and occasionally watercolours, he was also an accomplished etcher. In the hundred or so years since Hunter’s death he has – undeservedly – gradually faded into relative obscurity. 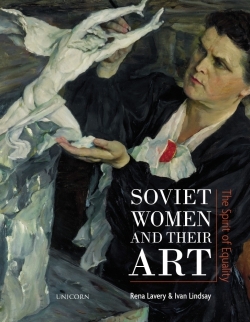 This book is not just a biography of the artist, it is also the most comprehensive catalogue of his works to date. Author Godfrey Bell was born and educated in New Zealand but has spent most of his adult life in England. He was a school teacher before joining British Airways as a trainer and later began his own training consultancy company both in the UK and in New Zealand. 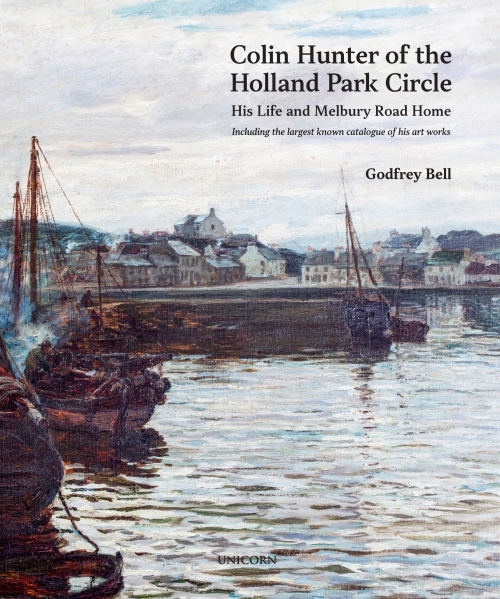 Bell became interested in Colin Hunter’s work when he moved into a block of flats at 14 Melbury Road, the site of Hunter’s home and studio.